Several months ago I wrote a post about open access scholarship in which I expressed a general appreciation for the movement. I also expressed the concern that oversight (peer review, basically) is an important aspect that needs to be retained to guarantee minimal levels of quality. What I am really advocating for is greater access, without reducing oversight; how that can happen, I do not know. I recently came across a couple examples of the lack of oversight that I think are really illustrative, because one is a fringe theory that shouldn't see the light of day, and the other is a potentially important work of scholarship. First for the fringe theory, which Larry Hurtado calls a zombie, one of those ideas that just won't die no matter how many times you kill it. Apparently, there is another resurgence of the assertion that Jesus did not exist; not that Jesus isn't God, but that there was no historical individual from Nazareth called Jesus, who was executed by Rome. One more observation on the recent resurgence of the mythical point of view [that Jesus does not exist]. It may be driven in part by the internet. In the past, most of the gatekeepers of the discipline—acquisitions editors—wouldn't have been interested in the topic. The internet, for better and worse, has changed this. It's now possible for a movement to make itself felt independently of the big publishers. I think he is right. Internet aside, it would be very difficult for these types of theories to gain much traction, as they would not pass muster with editors and peer-review. 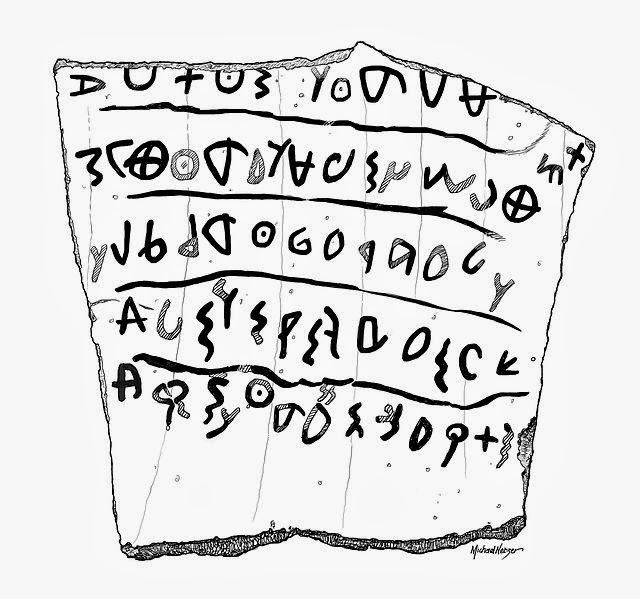 his post, Colless argues that the seemingly haphazard orientation of letters in very early inscriptions, such as the Khirbet Qeiyafa Ostracon, actually convey the vowel sounds. For example, an aleph with a reclining orientation would have a different sound than one that is inverted. I think, if Colless' assertion is accurate, that this is an extremely important observation. But in a blog post, even a post on ASOR, I am not sure what to make of it. Had this appeared in a peer-reviewed journal, I could have more confidence in it, knowing that some scholars in paleography had looked it over. I do not have the expertise in this area to critically evaluate Colless' argument. Further, I wonder why Colless did not put forward his idea by submitting it to one of ASOR's publications rather than the blog. Perhaps he put his idea out in this format as a way of time-stamping his findings? So what you are saying is that there is a peer-reviewed article written by a mythicist in Journal of Early Christian Studies (vol. 20, no. 4, Winter 2012), pp. 489-514. And that there will be a peer-reviewed book published shortly by Sheffield University Press. Hi Steven, thanks for commenting. Thanks, too, for pointing out the article by Carrier. I had not read it before. I think it is a common view that Josephus' comments are interpolations and Carrier offers a good argument that the interpolation was not intentional. It really isn't arguing the main point of mythicism though, is it? But, I don't follow that journal or the author, so it may be that they have published articles that do. A simple EBSCO search for the author did not turn up any articles by him that seem to argue that larger point. Thanks again for reading and commenting. To be fair to Dale Allison, he does say he is no longer keeping up with scholarship on the issue, which now seems to make him the go-to guy for people who want interviews on the subject.